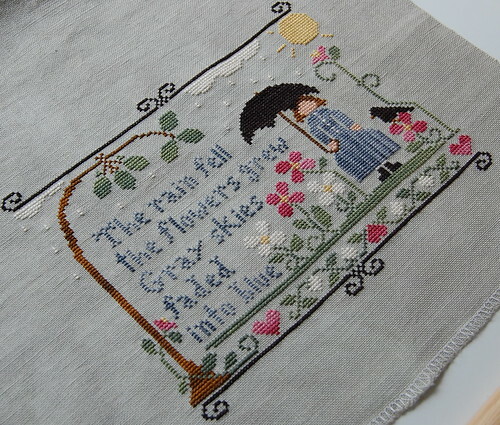 Nicole's Needlework: The Rain Fell Finished! I finally got it finished up today! I was in a little slump trying to get back into my stitching routine. I have also been missing my big Ott-Lite. I left it in Florida because we just didn't have any more room to take it with us. I will get it in a week or so when I go back down. I was just all out of sorts. I had gotten used to the one place I always stitched and the one light I always used. It was just weird! Anyway, I got out a different light and it is ok. It's not my favorite, but it will do until I get my other one back. I'll never leave it again! 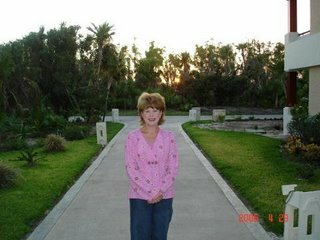 :) LOL! Anyway, here are a couple of pics of "The Rain Fell." 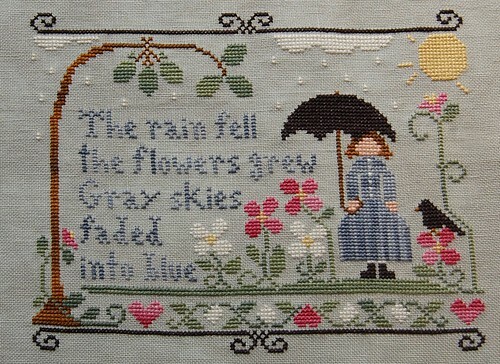 Little House Needleworks "The Rain Fell"
Hope your move went well. I love what you've done with your walk-in closet. 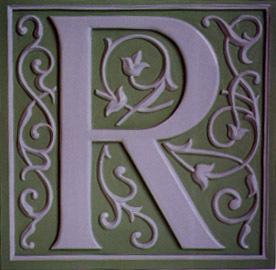 In addition, this finish is lovely! It looks great! Congrats on the finish. Excellent choice of fabric, Nicole. Your finish is lovely. You'll get used to the new place very quickly and get yourself another favorite stitching spot. Its good to have you back again, and that closet looks very well organized. Congratulations on your finish! I'm glad you were able to find your stitching mojo. I know what you mean about everything having to be "right". I hope you get your Ott Light back soon! Perfect! Glad you're starting to get back into a routine ... it's hard when you have to change it up. It's really cute! The chart is temporarily sold out at my LNS. We get about 200 days of rain a year. But it makes for lovely green fields and the evergreens thrive here. Beautiful finish! You're not wierd at all! I don't think I could stitch without my Ott light! Another great finish! What slump? You've stitched this one in no time. Hope you get your Ott-Lite back soon and you can find an enjoyable spot to work in. Embroidery Guild will be another fun one for you to do. Are you getting their two new patterns? Maybe I already know the answer to that one! There's always something when you move :-). Love the finish, very pretty. Oh so pretty! I just got notice that mine has arrived but is waiting for me at the PO! Damn! And I am going out of the country for the weekend (going to Denmark with my job) so I can't get my greedy little hands on it until Monday! Your very first Carolina finish, I am sure she will always be special. She deserves to be as this has turned out lovely. Glad you are settling in now. Throw 'er in the tub! So now that your settled and you have that DELICIOUS closet...when are you going to open that tub and start finishing some of those projects? love that design. you stitched it up quick...especially considering you moved in the middle of it! 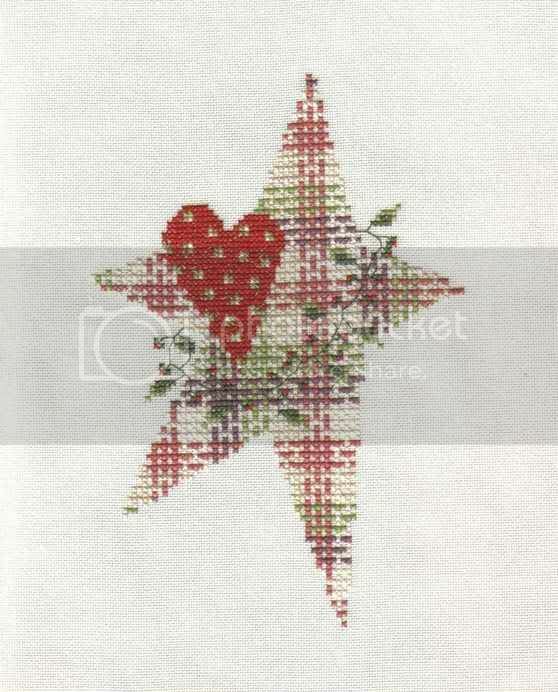 Wonderful stitching as always, this is a lovely design, might have to do this one myself. Looks great!! You do such a lovely job! Lovely work Nicole! It turned out great! I know what you mean about missing the Ott light. I don't know what I would do without mine! That is beautiful! You are such a talented stitcher. LHN are one of my favourite designers. Nice look, it's so beautyful! Oh that's a cute one! Great finish!